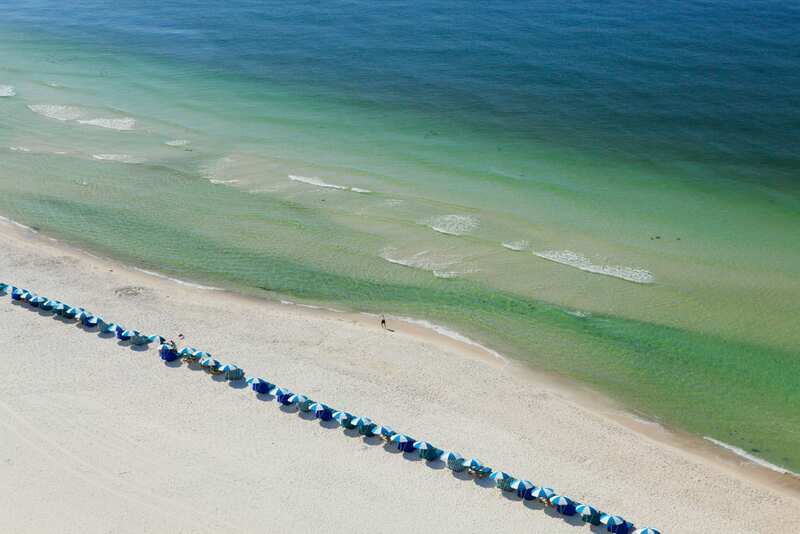 Each year, almost 5 million people pack up and head to Gulf Shores and Orange Beach for their family vacation. With so many people all heading to the same destination, it’s no wonder that traffic tends to get a little backed up–especially in the summer months. If you and your family are planning on making a trip to the Alabama coast this year, check out this post for tips on how to get to and from the beach while avoiding the traffic. and departure trips. Known as “The Gulf Coast’s Most Scenic Drive,” the ferry runs across Mobile Bay from Dauphin Island to Fort Morgan. A one-way trip only takes 40 minutes across the bay, and the ferry’s departure point in Dauphin Island only takes about 40 minutes to reach from Exit 4 off of Interstate 10. Driving the same distance could easily take three hours or more during the busy summer months. Plus, you’ll save gas money by avoiding all of the bumper-to-bumper traffic. The ferry runs year round and a second ferry runs in the busy summer months to handle the additional traffic.Click here to see the year-round schedule, and this linkwill take you to the directions page on the Mobile Bay Ferry site. One-way tickets are $16 for a vehicle and single passenger. Each additional passenger is $4.50, and children under 12 ride for free. The ferry schedule can change due to inclement weather, so it’s a good idea to always check the ferry schedule before taking this route. The Foley Beach Express is the favorite way for locals to get to the beach during summer season and for good reason. You’ll find significantly less traffic and red lights on the beach express compared to Highway 59 (Gulf Shores Parkway). The Beach Express currently runs from northern Foley all of the way to Canal Road in Orange Beach, but construction is underway to extend the Beach Express all of the way to Interstate 10. There is a toll bridge that charges $3.50 per vehicle to cross over into Orange Beach, but if you’re heading to Gulf Shores there is a back road route that will take you and your family back to Highway 59 only a half mile away from the Gulf Shores bridge. This route will add a couple extra miles to your trip, but you won’t encounter the same bumper-to-bumper traffic that you would by taking Highway 59. Most people finish the workweek and kick their vacation off on a Saturday. Then they make the return trip home on the following Saturday. Unfortunately, that means that traffic to and from Gulf Shores and Orange Beach is heaviest on everyone’s favorite weekend day. If your schedule is flexible, you can save significant drive time and stress by altering your travel plans by a single day. Coming in on Friday means the interstates and highways are much less congested, and you’ll be settled in and ready to hit the beach by the time Saturday morning rolls around. Since that’s the time most people are packing up to head home, you and your family will find that the beaches are less crowed on Saturdays as well!